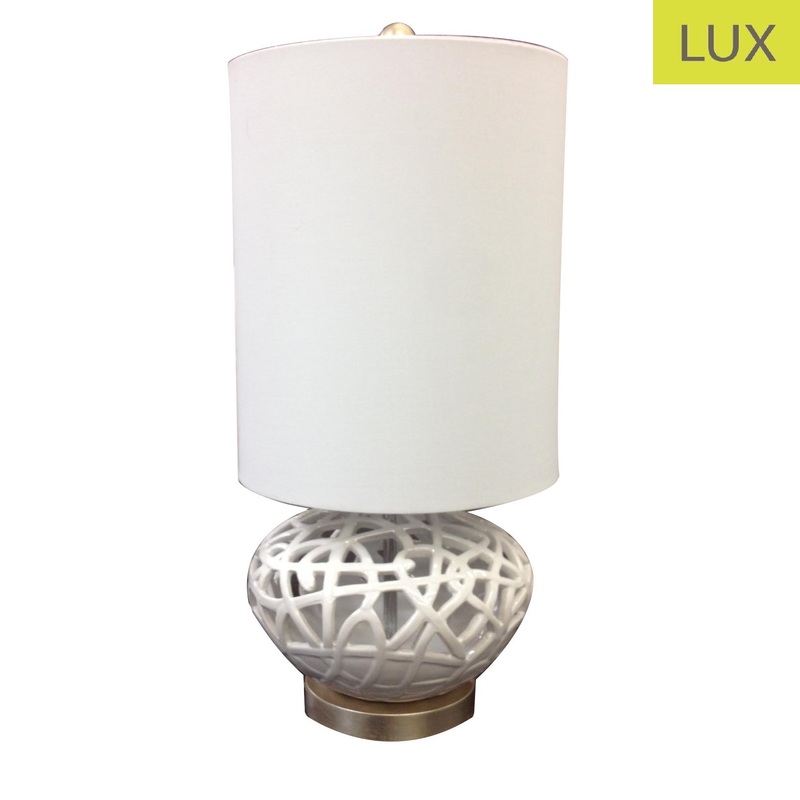 A stunning table lamp which features a ceramic cut out white base and long round white shade. Stunning for those higher end properties or glamorous spaces. A unique and classy lamp you will not find anywhere else. 10.5" x 10.5" x 23"